Shayla will be tested in ways she could never imagine. Her heart will take a hit when she learns the depth of Lorenzo’s disloyalty. It will shape her and motivate her to put her family first...an act that Lorenzo seems to have a tough time doing. Travis and Derrick are bent on keeping the money flowing toward PBH by any means. They will both have to expose their true colors, stepping into the light with their masks off. 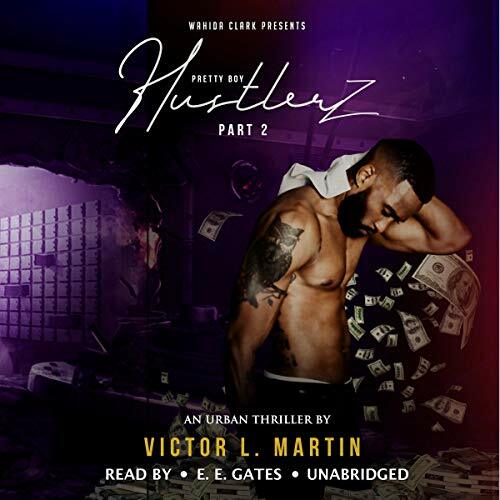 Pretty Boy Hustlerz is a story that had to be told, and written by Victor Martin, it will surely become an instant classic...repping Selma, North Carolina, and stamping Victor’s rise in urban lit. This book will keep your mind wondering, who to trust, no one could be trusted. WOW.